Rub the bowl with the sliced chili pepper to flavor it and settle the salted Corvina in it. Mince the chili pepper and set aside. Pour the lime juice and the purple onion. Softly mix all the ingredients together with wraparound movements. Add the ice cubes and keep stirring. After a few minutes take the ice out so it does not get waterish. The resulting juice is known as “tiger’s milk”. In Peru, this marinated potion is often served alongside ceviche. 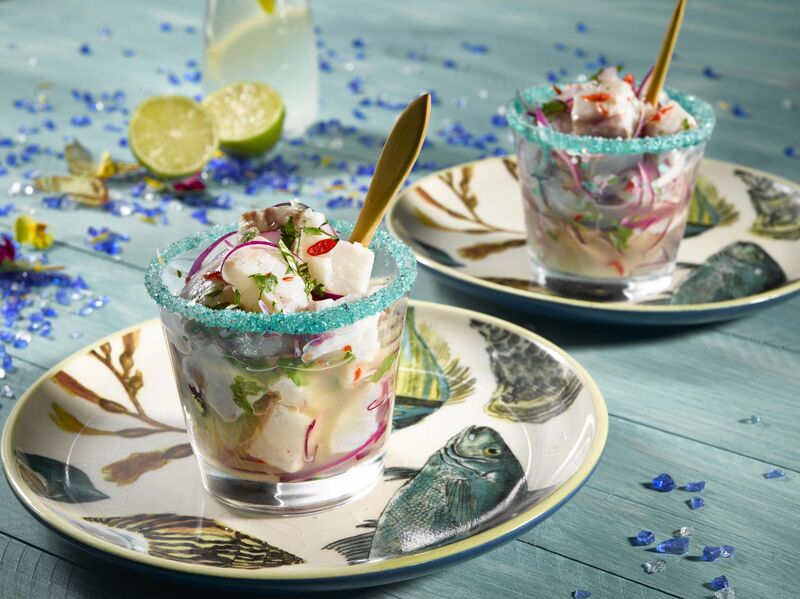 Serve this dish in fancy glasses with a slice of lime hanging over the rim for effect. Sprinkle it with coriander and chili pepper to taste and serve immediately.